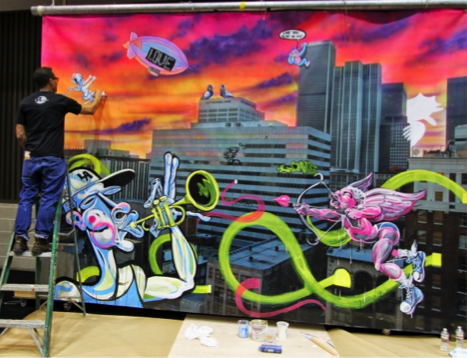 WHAT: A vibrant mural will come to life in one day as street artist Norm "Nomzee" Maxwell creates a 12 x 8-foot urban-inspired artwork at the Dwell on Design show in Los Angeles. He will use bright colors selected from the new Then, Now & Forever color palette by Dunn- Edwards Paint. The finished piece will be donated to Freehab for its Life Transformation Center in Sun Valley. Both are part of The Teen Project's efforts to serve vulnerable homeless and addicted youth. WHEN: Saturday, May 30, 2015. 10 a.m. – 6 p.m. – during the show so attendees can watch the artist make his magic. There will be a brief on-site ceremony at 2 p.m. to highlight the mural and make the donation to The Teen Project/Freehab. WHY: Maxwell's mural will help decorate Freehab's new trade school in Sun Valley, a place where teen residents can learn basic technical skills. His creation will convey a message of harmony and nurturing strength. WHO: Norm Maxwell is a Los Angeles based artist and designer. He began his career as a pioneer of the Philadelphia graffiti scene in the late 70s. 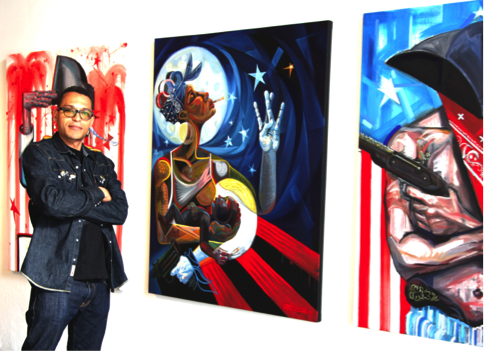 Maxwell has redefined the potential of urban art through his persistent progression from walls to canvas, clothing and ultimately lending creative contributions to many high profile commercials and music videos, including Janet Jackson, The Black Eyed Peas, Revlon and L'Oreal. DUNN-EDWARDS: Dunn-Edwards Paint was founded in Los Angeles 90 years ago and can be found on many landmarks throughout the city. It is the greenest paint in the industry with zero VOCs, EG-Free and manufactured in the world's only LEED® Gold-certified factory. Designers and artists alike love the Dunn-Edwards color palette. CREDENTIALS: To attend the Dwell on Design event, register here.